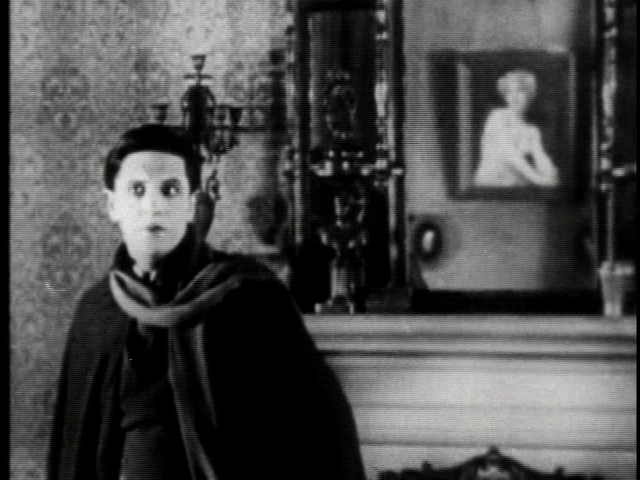 Whilst a serial killer known as “The Avenger” is murdering blonde women throughout London, a mysterious lodger (Ivor Novello) arrives at the home of landlords Marie Ault and Arthur Chesney and their grown daughter Daisy (June Tripp). Novello falls for Daisy, but her jealous boyfriend (Malcolm Keen) — a police detective — is convinced that Novello may be The Avenger, and begins to investigate the case. Despite having helmed at least two earlier movies (1925’s The Pleasure Garden and 1926’s now-lost The Mountain Eagle), Alfred Hitchcock considered The Lodger — based on Marie Belloc Lowndes’ Jack the Ripper-inspired novel — to be his “true” directorial debut. While it possesses many elements of Hitch’s soon-to-be-signature style, however, it suffers from overly broad acting (Novello was a matinee idol, not a thespian) and terribly slow pacing. Like John Brahm’s 1944 remake (starring Laird Cregar), it’s both highly atmospheric and visually inspired (see stills below) — but also narratively flawed, given that there aren’t really any other suspects in sight. 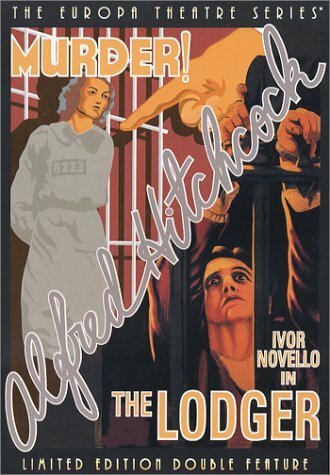 The Lodger only remains must-see viewing due to its status as an early outing by Hitchcock, and as a precursor to Brahm’s superior version. Yes, but only for its significance as one of Hitchcock’s earliest signature works. Listed as a film with historical importance and a Personal Recommendation in the back of Peary’s book. Not a must, really, unless you’re a Hitchcock completist. I hadn’t seen this. Halfway-through, I could easily have thrown in the towel. 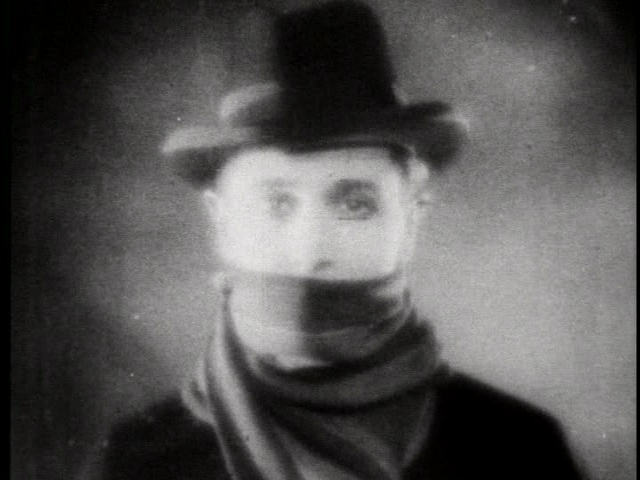 Not because it’s a silent – there are silents made earlier than this one that somehow remain vibrant. But, as stated, the pacing is extremely slow (not a plus for a thriller) and not all that much happens. There’s a lot of talk about The Avenger striking again and again. And the main suspect does take up lodging. 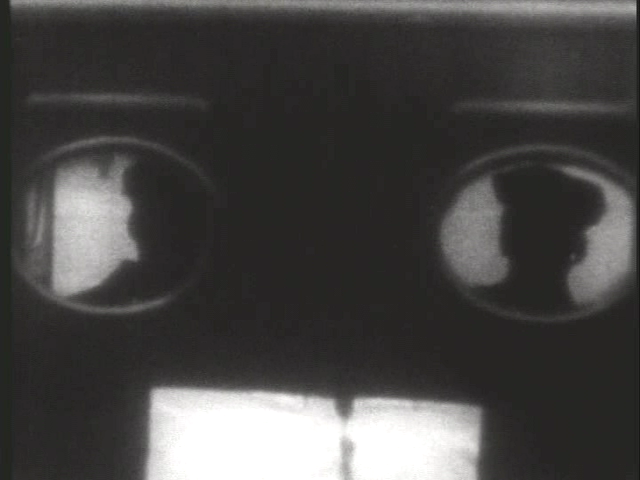 Perhaps, in 1927, that was creepy enough. But this story went on to be told and re-told countless times in other films. FFs may have much less patience enduring it in snail-like fashion. The good news is that the last half-hour has some dramatic thrust but I’m afraid the first hour makes it much harder to appreciate the outcome. So I’m rather in agreement with the assessment. Except that I don’t find Hitch’s first “real” film an auspicious event. A must-see must stand on some real merit.